Vigilante Diaries is based on a 2013 series that also starred Jason Mewes and Paul Sloan amongst others and while it’s nothing special, there’s just enough there to have it standout amongst the rest, though the screenplay could’ve used a rewrite or two. 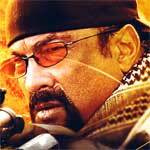 Code of Honor is one of the worst movies I’ve come across this year and easily the worst of Seagal’s now free-falling career. The acting was at best average from a supporting cast that at least were trying while Seagal was sleepwalking, action scenes that were poorly shot and laughable post-production work with bad CGI. 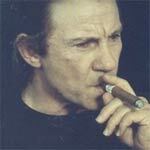 Dangerous Game is an uneven and quite frankly frenetic film that happens to have some strong performances especially from Harvey Keitel that it keeps it from being a complete turkey. The Blu-ray released by Olive Films is rather limited with only a trailer and average-to-adequate video and audio transfers.